With a dream of becoming a fashion designer, Ida Rodriguez started out designing and sewing her own clothes. Growing up in the Rio Grande Valley town of Alton, she was one of a family of seven with a father who was the sole provider, and a strict patriarch. In her early 20s she had an opportunity to attend fashion design school in Dallas, but her father said no; she needed to stay at home to help out with the family. As she created new designs, Rodriguez was faced with how to market and sell her new-found art avocation beyond simply word of mouth. She rented booth space at the Texas Hunter’s Expo in McAllen, as well as a few other trade shows, which generated sales and gave exposure to her work. “Ever since the Hunter’s Expo my sales have been a lot better. It really opened the door.” She is planning for a display booth at next year’s Rio Grande Valley Livestock Show and Rodeo. 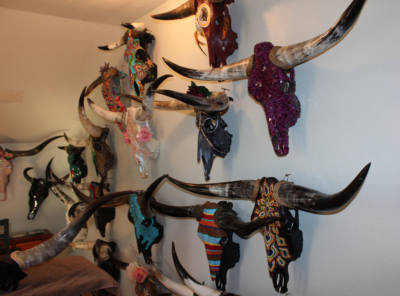 Today, in a small studio on the second floor of her home in Alton, the walls are lined with decorated skulls, mostly longhorns but also a few steer skulls, which have shorter horns. A small work table in the center of the room is just big enough to hold a skull and decorating supplies. 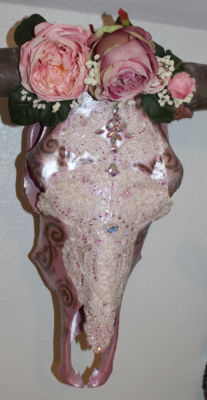 Rodriguez likes flashy, elaborate bling designs, and that approach has become a staple of South Texas Longhorns. “My biggest seller is the bling,” she said. 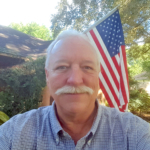 “The first one I designed sold really quick.” Other standard designs include Texas flags, skulls encrusted with beads or stones, painted designs and more that are priced in the $250 to $400 range. And she works with customers for custom designs, such as one with a hand-painted Washington Redskins logo or another with a Harley-Davidson emblem. 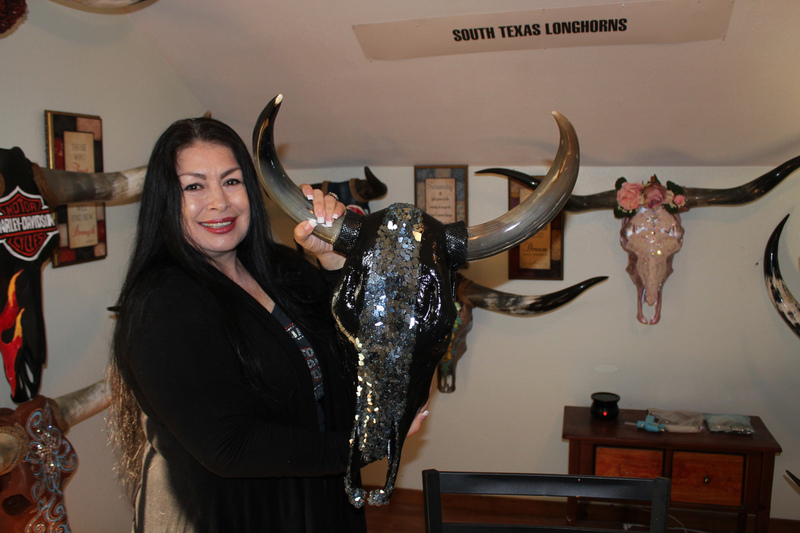 The decorative longhorns work well as art for outdoor patios, living rooms, offices and man caves, Rodriguez said. She has even designed them for weddings.